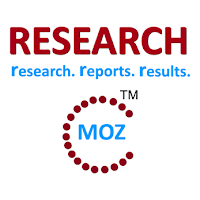 ALBANY, NY, July 2015 -- ResearchMoz.us includes new market research report " Project Insight - Commercial and Leisure Building Projects in Asia-Pacific: Industry Size, Shares, Growth, Analysis, Trends And Forecast" to its huge collection of research reports. The report provides detailed market analysis, information and insights based on over 1,200 CIC projects in 13 countries. The report provides detailed metrics on each countries’ commercial and leisure building projects (as tracked by the CIC) split by type and start date by value. This report details the investment in large-scale commercial and leisure projects in the region, based on the projects tracked by Timetric’s Construction Intelligence Center (CIC). The projects are at various stages of development, from announced to execution, and are in 6 categories: leisure and hospitality, offices, transportation and storage, retail, research facilities and data centers. A total of 13 countries in the region are covered, and the combined value of projects tracked in these countries stood at US$417 billion as of May 2015. The average value of power generation projects across the 1,219 projects studied is US$344 million. The highest value project tracked in this sector in the Americas is the US$32.0 billion Zhuhai Theme Park in China. Gain an insight into main drivers of activity and forecasts, providing an understanding of key trends, analysis of main project participants by value by sector enabling clients to target products and services for each type of project. Access analysis of main projects participants by value for the sector enabling clients to target products and services for each type of project. Providing top projects data for types of commercial and leisure projects with location, value, stage and start date. CIC Projects analysis shows that commercial and leisure building projects for the 13 countries is estimated to be US$417 billion. The leisure and hospitality sector leads for Asia-Pacific with projects valued at US$245 billion followed by offices with US$68 billion. Transportation and storage is in third place with projects valued at US$37.3 billion headed by China. China leads in all sectors but retail which is headed by Australia and data centers, which is headed by South Korea . The 13 countries have over 51% of the projects worth a total of US$213 billion at the pre-construction stage.